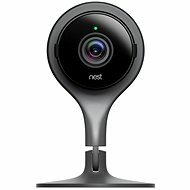 To protect your home and other areas, the Logitech circle white camera is a suitable tool with night vision and Smart Motion sensors, intelligent alert and HD resolution, as with the LOGITECH Circle, it will make it really easy for you to keep an eye on your home or office. The Logitech Circle can be easily installed wherever we need it. It is small and has an elegant design. 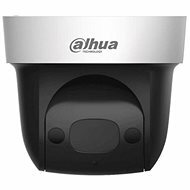 It is also suitable for monitoring the activity of children, the elderly or domestic animals. Data storage on AES 256bit Dual Layer Storage is 24 hours security.The data on the encrypted storage cloud is available for a long time and can be copied if necessary. 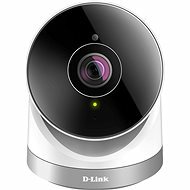 Another way to use this handy portable camera is to use live two-way chatting, making it increasingly popular for Internet communications. If needed, storage space can be expanded. There is also the option to set up a Safe Base for two-day storage and Safe Premium is also available to store data for up to 31 days. The camera is equipped with a microphone and a speaker. The whole process of operating the camera is intuitive and very fast . It is as easy as to place the LOGITECH Circle in the right place, connect it to the power source (battery lasts for up to 12 hours) and then turn it on, then download the corresponding application for iOS or Android or tablet and we are ready to use the camera. 1920 × 1080 px Done! Google Android, Apple iOS Done! detekce pohybu, vestavěný mikrofon, vestavěný reproduktor, cloud platforma Done! For shipping to other EU countries visit this page Logitech Circle white. Für Versand nach Deutschland, besuchen Sie bitte Logitech Circle, weiß. Chcete doručit zboží do Česka? Prohlédněte si Logitech Circle bílá. Chcete doručiť tovar na Slovensko? Prezrite si Logitech Circle biela. Für Versand nach Österreich, besuchen Sie bitte Logitech Circle, weiß. Magyarországra történő kiszállításért tekintse meg ezt a termékoldalt: Logitech Circle, fehér.